We are extremely flexible on the nature of those partnerships, but it might be helpful if we give some examples of those that we currently have. The association has been created with “La Salle”, a local private school and work with them in a number of ways. We also work with a large local company who have a strong focus on corporate responsibility. As part of their program, they supply teams of volunteers who execute projects with our kids. They benefit by achieving their goal of putting back into the local community and we and our kids benefit from having a group of mature, professional, experienced business people helping with their education. We have several businesses whose owners are keen to contribute to good causes. For example, one supplies us with eggs; one supplies us with fruit; one regularly donates pens, pencils, exercise books etc. A local law firm very kindly will advise and represent our kids or their families for free in any legal matters. A local dentist provides free emergency dental care for all the kids. Each of these firms benefits from knowing that they are positively contributing to society and the benefits to the kids are direct and obvious. La Salle is a school with an international network. Bolivia Digna is greatly supported by the school in Cochabamba and in Bolivia. In exchange, we give classes on social responsibility in the school and deploy around 30 adolescents each semester into volunteer positions, either at Bolivia Digna or in other projects. The school also very kindly lend us the building that we use as our offices and as accommodation for international volunteers. They benefit by achieving their goal of producing well-rounded young adults with a strong sense of community spirit and we and our kids benefit from additional manpower and reduced operating costs. Since recently, we are helping other "La Salle" institutions and projects to receive support and volunteers. One of the most important poulty companies of Bolivia. Avicola Modelo generously gives to Bolivia Digna and the children eggs so that they can have a healthy snack. Footballissima organises soccer trainings in Geneva (Switzerland) for children from 6 to 12 years old. It gave to Bolivia Digna sports equipment for the children including balls, cups, tee shirts and sports flasks. Thanks to a partnership with Arsenal Community, Bolivia Digna is receiving each year at least two sports coaches who help the organisation in its sports and development through sport activities. 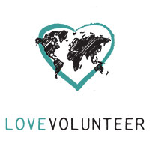 Love Volunteers provides meaningful, life-changing volunteering abroad programs in more than 40 developing countries worldwide. Together with Bolivia Digna, every year they assist a large number of volunteers from all over the world into short and long term voluntary service positions. 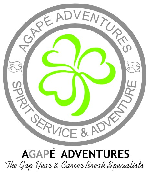 Agapé Adventures promotes and develops volunteering opportunities for people aged 18 years and over. The voluntary services offered range from: gap year, Christian mission, expedition adventures, and short term assignment, all for the benefit and advancement of education and global citizenship. Agapé Adventures provides Bolivia Digna excellent and motivated volunteers to work on our projects with the children. One World 365 provides people a useful directory to find and book trips and experiences worldwide. They are working together with Bolivia Digna to provide a volunteering experience with us.